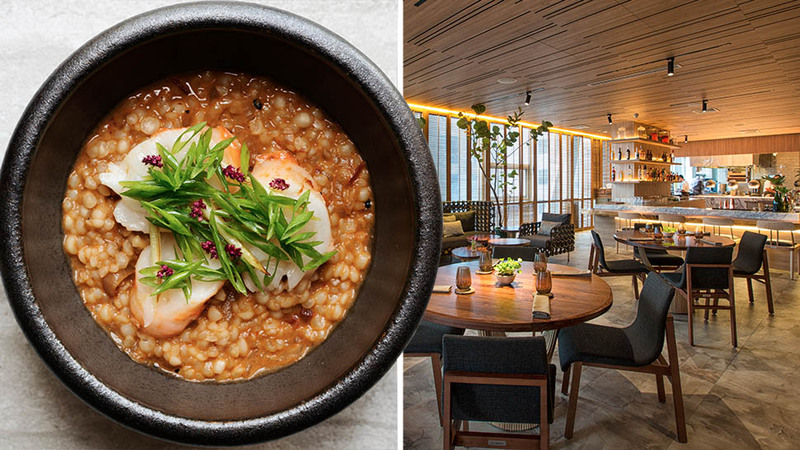 At these institutions, tea is an art form. 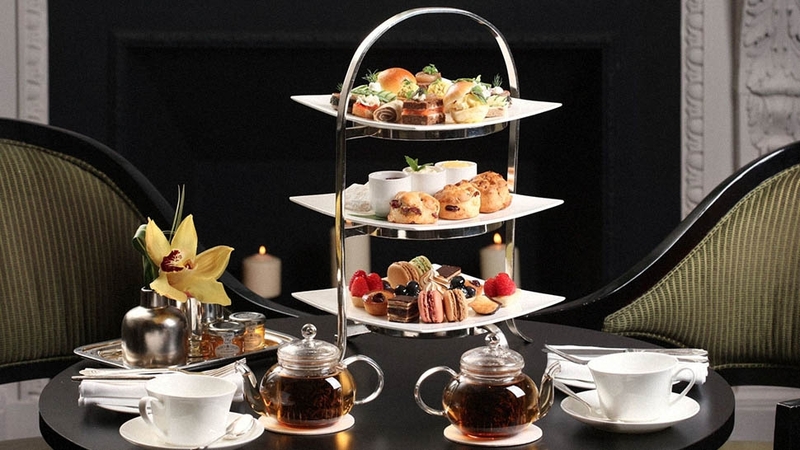 Tea is served overlooking the garden and croquet lawn at this Belgravia hotel. 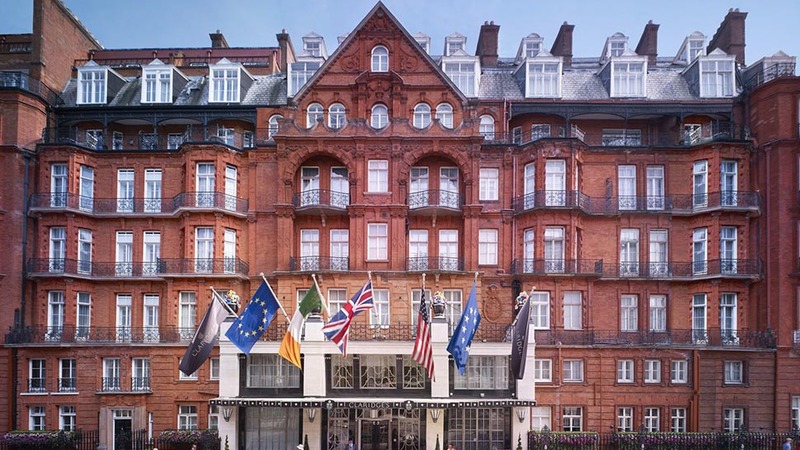 This is famously where Kate Middleton and her family stayed during the royal wedding, and this year the Goring is honoring the Duchess's grandmother-in-law with three teas themed for the Queen's 90th birthday. 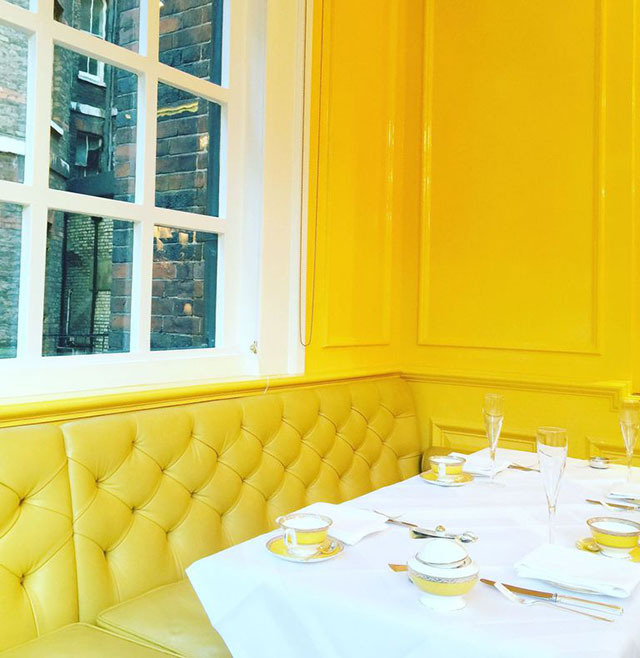 The garden room where tea is served is at The Goring. 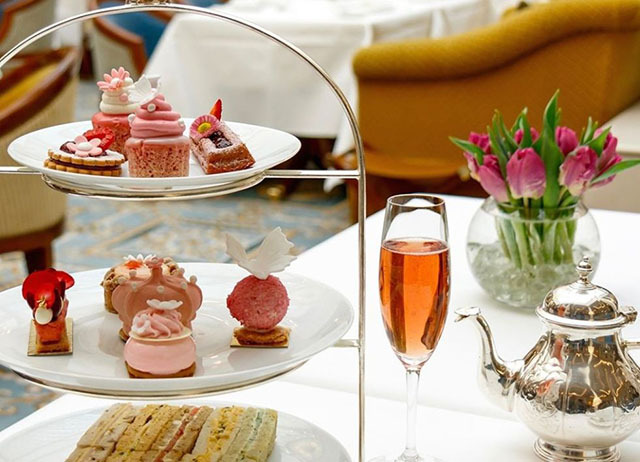 A Princess Charlotte-inspired tea with towers of pink pastries is a favorite at the Alberto Pinto-decorated Knightsbridge hotel. 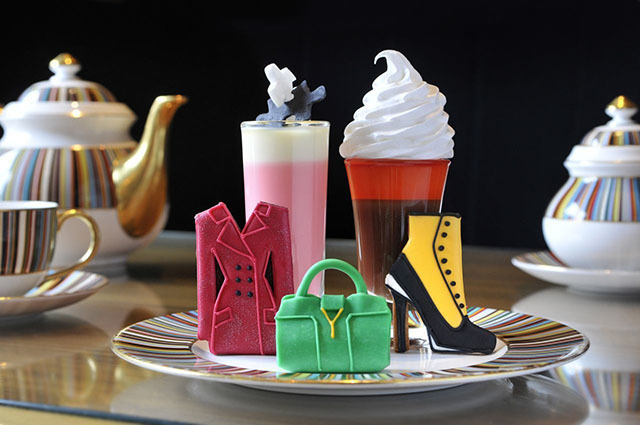 There are 38 teas on the menu, including special blends like Rose of the Orient and White Peony. If the choices intimidate you, the hotel's in-house tea sommelier is there to advise. 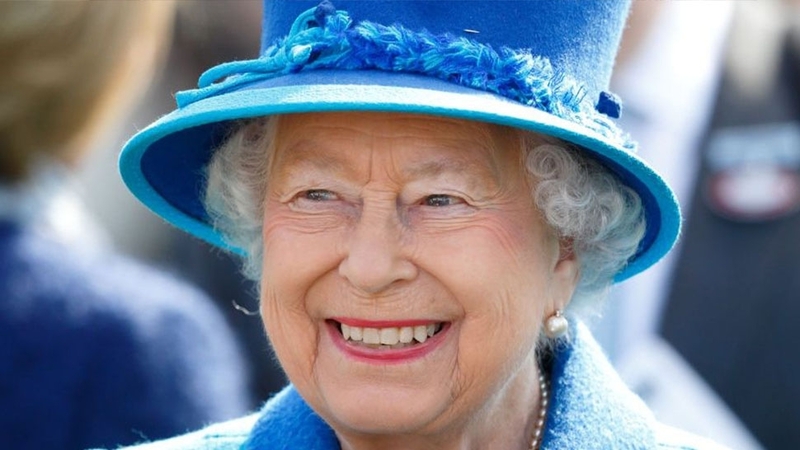 In 1995, Queen Elizabeth II hosted a wedding-shower tea party at Claridge's for Marie-Chantal Miller and Prince Pavlos of Greece. Today the experience at the Mayfair hotel is consistently decadent. 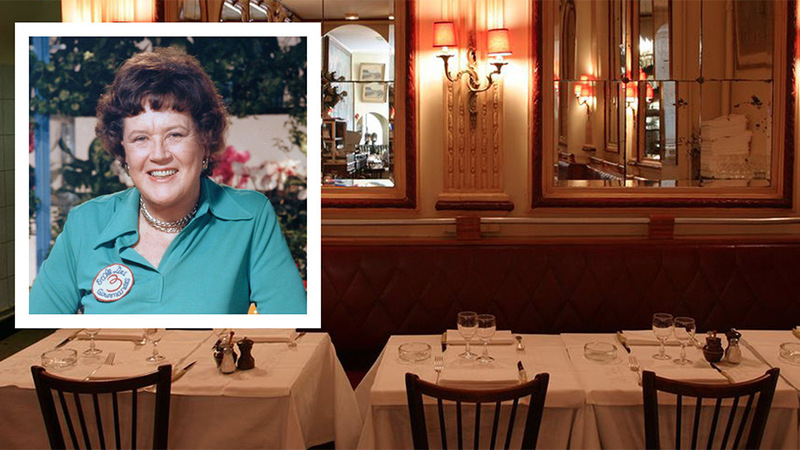 From the art deco Thierry Despont-designed setting to the Tiffany blue striped porcelain to their secret recipe for Cornish Clotted cream, it's no wonder it's a royal favorite. 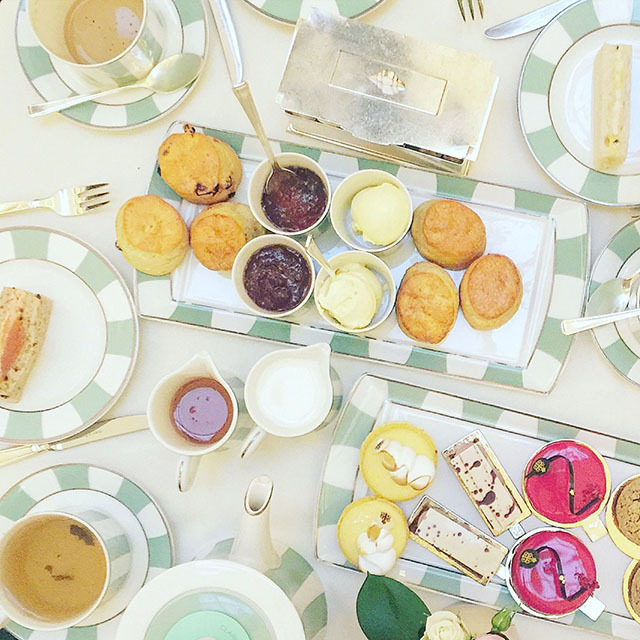 This Mayfair hotel has served traditional afternoon tea since 1931. 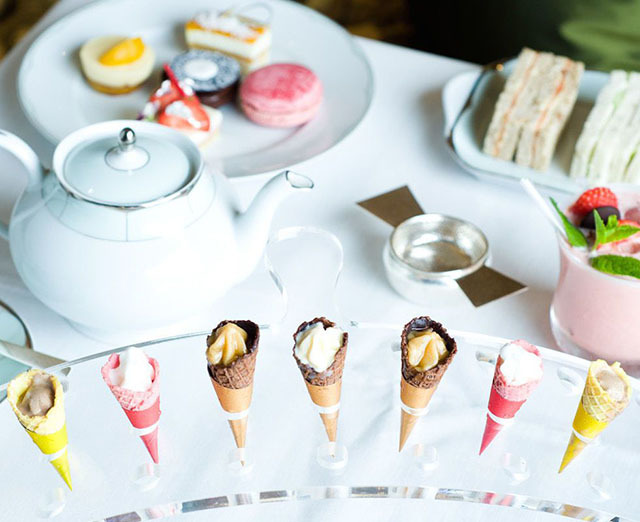 During the summer, a plethora of mini ice cream cones are available rather than pastries and for chocoholics there's a "Chocolate Indulgence" tea launching this fall. 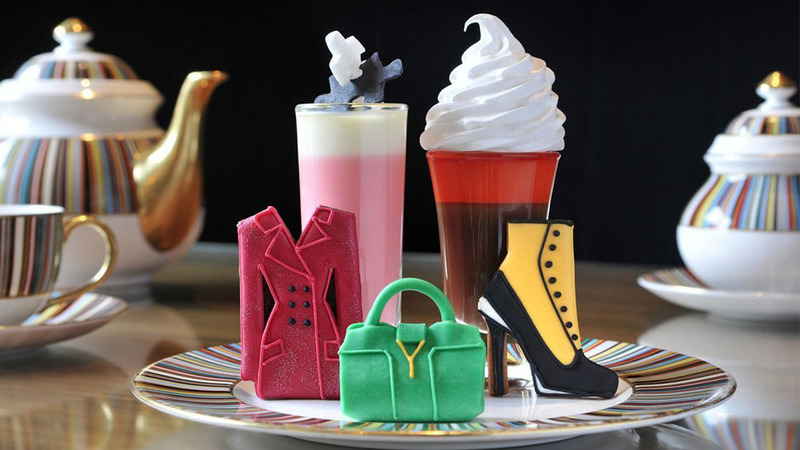 Edible runway looks and It bags are on the menu at the Berkley's Prêt-à-Portea, where cookies, scones, and pastries change seasonally with the fashion collections.